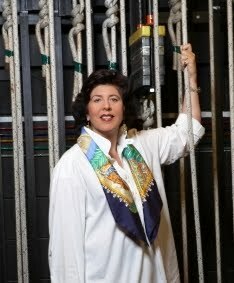 'Tis true, friends... wedding bells rang out for directress extraordinaire Francesca Zambello and attorney Faith Gay. The news of the couples nuptuals came to Yours Truly via the reporting of Our Lady of Operatic Hubris, La Cieca at Parterre.com. According do our Dearest Doyenne, the wedding took place on December 22 in Cooperstown and was attended by (among others) Deborah Voigt, Kirstin Chavez, Beth Clayton and Patricia Racette.